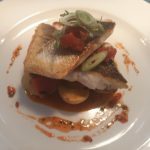 Try Our Something Fishy Menu, get a 2 course meal and a glass of wine for just £23.95. Sample our main menu, with a mouth-watering selection of fish, steak and sides to choose from. A delicious selection of desserts, to choose from. 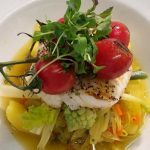 Join us at Little’s Restaraunt, Blairgowrie for a fantastic evening of fine dining – with quality fish dishes our speciality. Little America is our new restaurant which has recently opened in Blairgowrie. Our Amercian themed diner offers a wonderful selection of classic American dishes. Our High Street Store in Crieff is the place to go for the freshest fish in Perthshire, with a huge variety of the finest fish available.